It's pricey, but there's no performance compromise for this super silent rig. 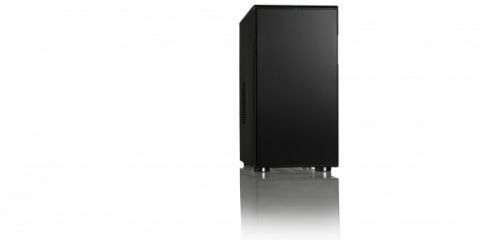 Chillblast's Fusion Stealth PC has left me stunned. That it lives up to the discrete noise profile promised by its name is just half the surprise - it does so without compromising polygon-crunching power. Normally, high-performance, overclocked gaming rigs come at the cost of your ears. I've become accustomed to high-spec gear whining like so many jet turbine the second I stress them with high-fidelity, high-resolution game engines. But the Fusion Stealth remains almost silent at 100% load on either CPU or GPU. You might naturally assume that's because it's using specially picked low-power components, like a low-voltage CPU or passively cooled graphics card. But no: this thing's packing an Intel Core i5 3570K and an Nvidia GTX 670. Oh, and that processor's running at 4.3GHz, too. The only way that you'll know this machine is even turned on is by the subtle blue ring around the chassis' power button. Okay, if you stick your ear against it you'll pick up on some sounds of gentle inner workings, but that Fractal Design case, with its sound-dampening material and slow-spinning fans, shut down almost all external sound. The Gelid Tranquillo CPU cooler - active air-cooling not liquid - also comes with chunky fans that don't need to spin so quickly to keep things chilled. You might then expect things to get pretty warm inside that insulated chassis, but even at 100% load the CPU barely pushed above 60ºC. This is hugely impressive. Normally I'd be more fussed about straight-line gaming performance and hang the noise - hell, I can just turn my speakers up - but there's no such compromise necessary here. Gaming performance is not being sacrificed for the privilege of an effectively silent machine. As an example this machine had the Heaven 3.0 benchmark - an extremely graphically-intensive, tessellation-heavy test - running at 35FPS at 2560x1600. With 4x MSAA chucked in for good measure. That's right up with some of the best rigs around. Coming in just shy of £1000 ($1590), not including VAT, it's not be the cheapest full rig out there, but the Fusion Stealth is a brilliantly pieced-together gaming machine.